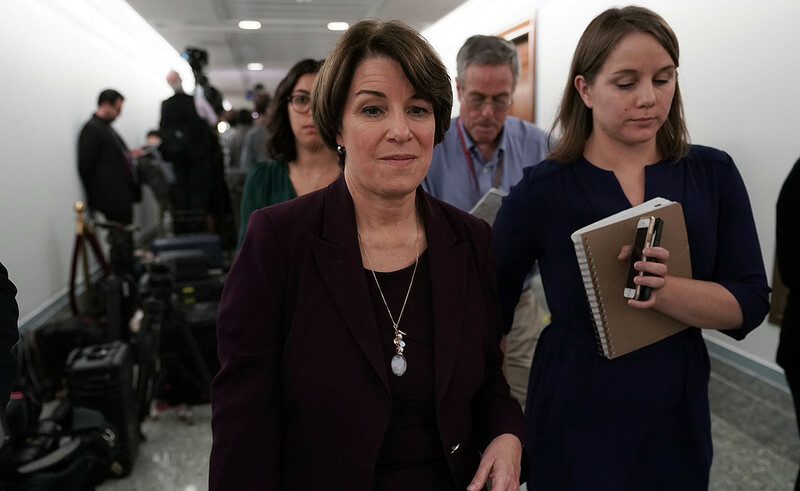 MINNEAPOLIS — Sen. Amy Klobuchar is pitching herself for the White House as the common-sense Midwestern answer to President Donald Trump — while former staffers portray her as a brutal boss who mistreated them. But Klobuchar’s campaign has not denied any of the specific allegations detailed in recent news stories, and Democrats in the critical first caucus state of Iowa — where Klobuchar hopes to make a splash in a crowded 2020 field — say the senator’s treatment of staff has the potential to sideswipe her campaign. Klobuchar isn’t alone in answering tough questions as the 2020 presidential field takes shape. Massachusetts Sen. Elizabeth Warren has apologized multiple times for previously identifying herself as a Native American, while California Sen. Kamala Harris has addressed criticism from the left about her prosecutorial record. Klobuchar’s Senate office clearly has cycled through staff at a higher rate than most others. LegiStorm, a database service tracking the congressional workforce, found that Klobuchar had the highest staff turnover rate in the Senate from 2001 to 2016. In 2017, Sen. John Kennedy (R-La.) and Sen. Chris Van Hollen (D-Md.) surpassed Klobuchar on the list. The Minnesota Democrat has won her three Senate campaigns by an average of 26 points, even as her state grew more competitive over the last decade. In 2018, she won 42 of the counties President Donald Trump carried in Minnesota two years earlier, when he lost the state by just 1.5 points. Klobuchar, who has frequently campaigned in the state for down-ballot candidates, is a familiar face amongst Iowa caucus-goers. A December poll, conducted by Democratic pollster David Binder, found that Klobuchar pulled in 10 percent support, leapfrogging ahead of fellow female senators and running just behind Vermont Sen. Bernie Sanders and former Texas Rep. Beto O’Rourke. Vice President Joe Biden pulled in 30 percent of the vote. But Klobuchar’s path out of a primary – dominated by flashier candidates and a left-leaning electorate – is far from clear.